My mother died with a closet full of unused toys. Evidently she’d bought them to share with her grandchildren, and then forgot to get them out again. She forgot a lot of things in her last few years. It’s sad that she didn’t see her grandchildren play with them while she was alive. But now they are like a gift from beyond the grave. I recognized a few from my childhood, but most I didn’t recognize at all. Like this one. It’s a unicorn, can you tell? I couldn’t at first. Every other unicorn I’ve seen in my entire life has been sleek and muscular. This one is definitely cast against type. The crazy thing is that CJ already has one. A neighbor boy outgrew it and gave it to her. 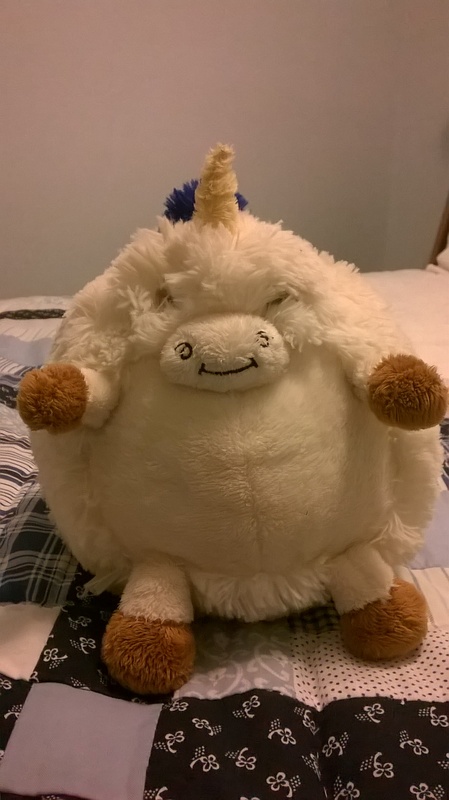 He’d already named it: Chubby Unicorn. 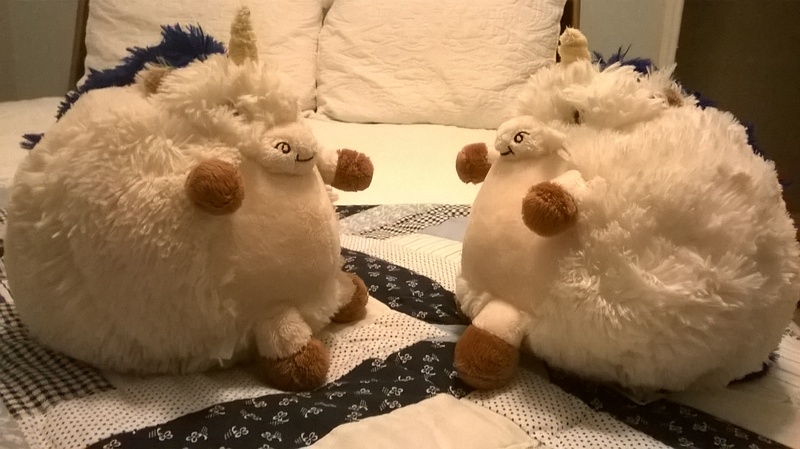 When I brought home Chubby’s twin, CJ couldn’t wait to introduce them. She covered Chubby I’s eyes and brought Chubby II into her bedroom. The homecoming was ecstatic. I thought of calling my Mom to tell her. But of course there’s no one to call.